We are in full back-to-school mode! So I have been working on freshening up some activities that we did last year, to use as beginning of the year review. 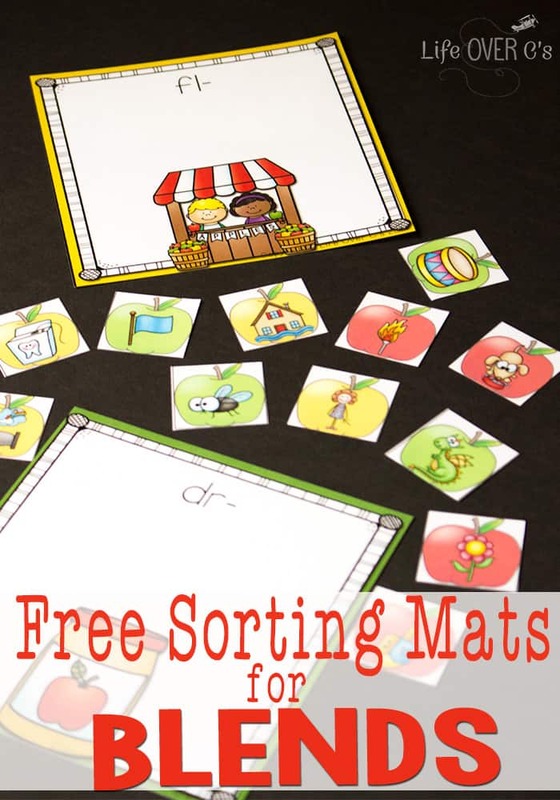 This Free Blends Printable in an apple theme is the same activity that we did back in January with snowballs. I want to start the school year off on a happy note, so we’ll be reviewing for a week or two before we head into new skills. Print the word work pack on paper or card stock and laminate it desired. 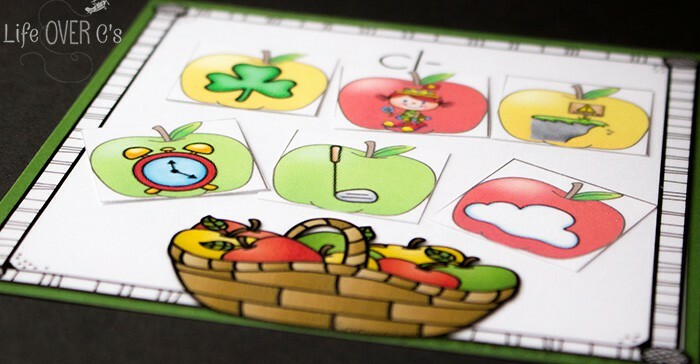 Cut out the cards and the blend apples. 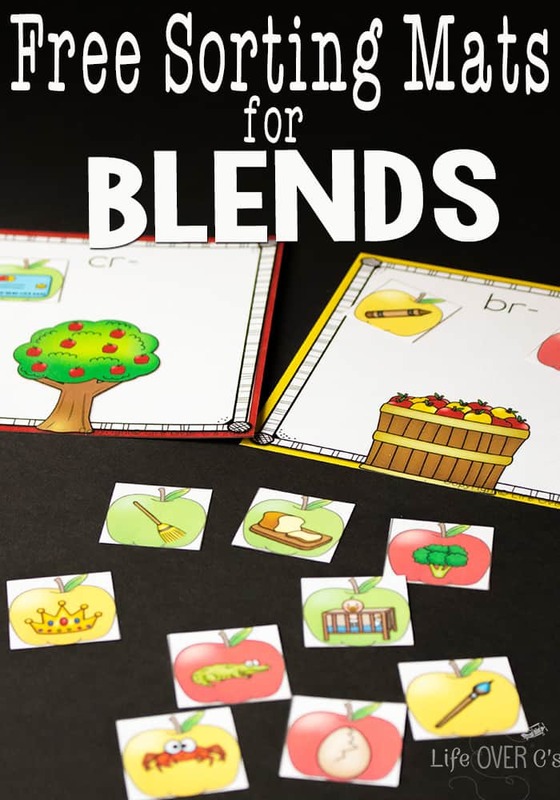 Give the students 2-4 blend cards and the coordinating apple pictures. Have the students sort the apples onto the blend cards. I like to only use up to 4 blends at time so that the activity is not too overwhelming for new readers. In the very beginning when we did this with the snowball theme, I started with only 2 very different blends, such as br- and fl-. This made it easy for my daughter to differentiate the sounds. This time, since we are only using it for review, I will be combining similar blends, such as, br- and dr-, to make her think a bit more. You can put them all together in a zip top bag for easy storage and use. These Blends “beads” are a fun way to build words with blends! Tons of great activities in the Blends and Digraphs Mega Pack. 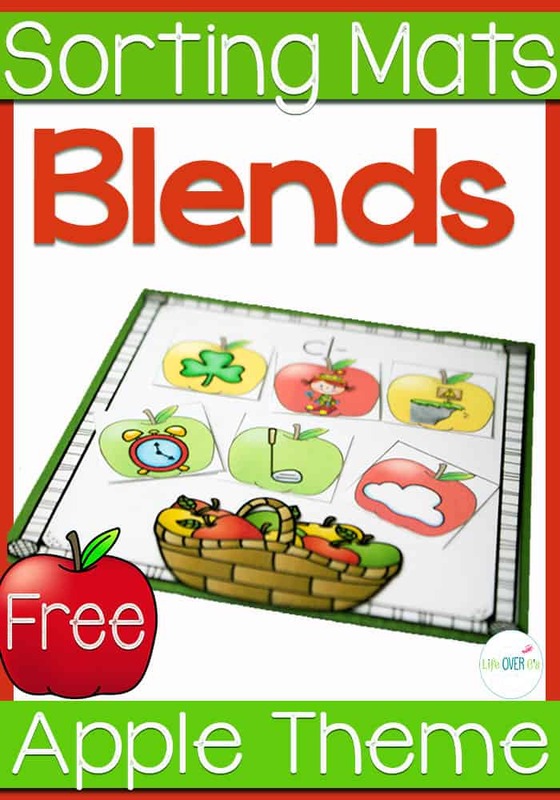 Free Puzzles for matching words with blends to their pictures. 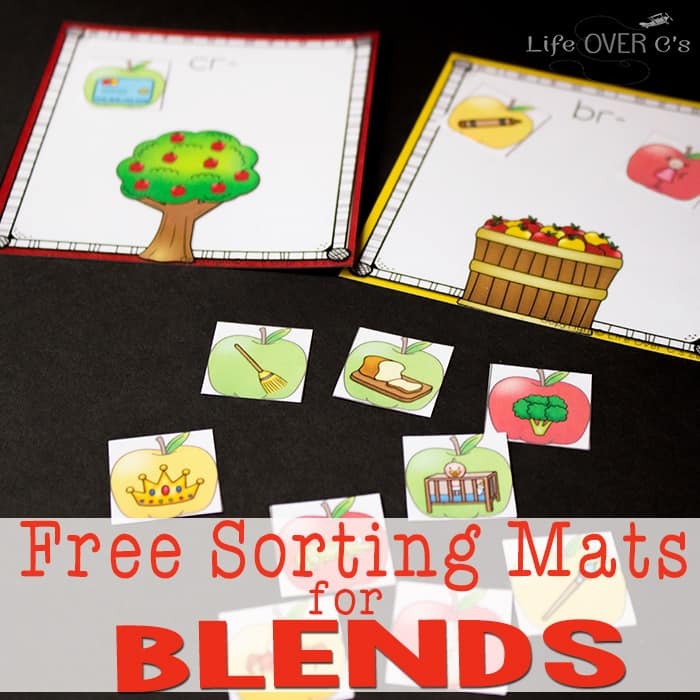 Get the snowball blend sorting mats here. We are working on blends here; these would be so helpful! Thank you. I love these. Our son learns using visuals and this is perfect for learning blends. Awesome clipart.